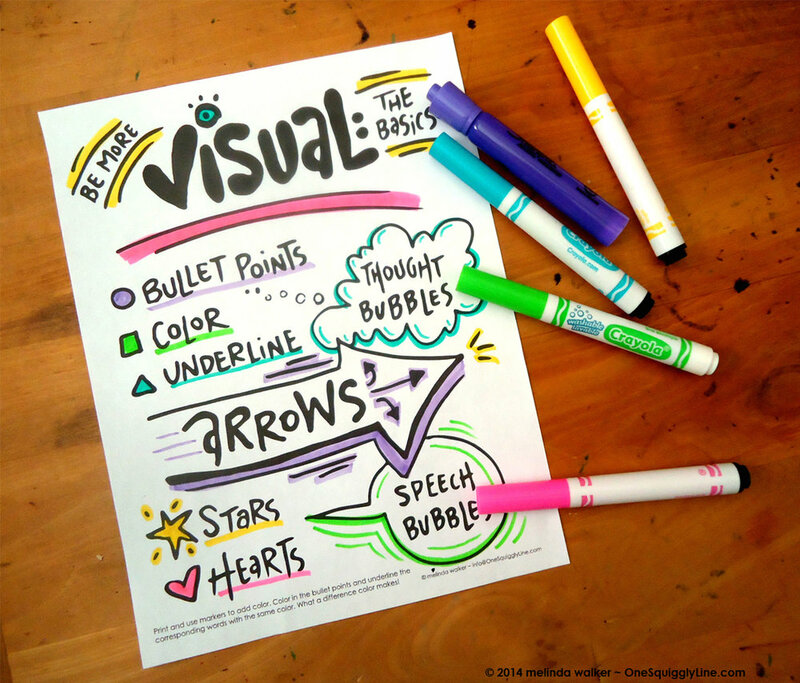 Hand-drawn visuals to make things clear, simple, and fun! Here's a partial client list and a random fact: Logos are generally trademarked, so it's illegal to use one without written permission. Not wanting to step on anyone's toes, I've created a bit of word art instead :) Click for a more complete client list...I hope to see you on it soon! I am beyond grateful for the amazing people I get to work with! It really blows me away sometimes — from CEOs of Fortune 100 companies to private parties. I learn so much, not just from what they say, but from how they work, think and lead their teams. Thank you! Thank you! Thank you! Why choose One Squiggly Line? Just shoot me a quick email or DM on Twitter or Instagram telling me a little about why you'd like to work with me, plus any dates or deadlines and location. If you'd rather call, that's cool, but please keep in mind it may be the following week or two before I can return your call during business hours. When working live, my days are jam packed! We can continue to work out the details though email, over the phone, or with a video call. Sometimes, it's easier to work things out through Direct Messaging on Twitter, Instagram, or by text. Whatever works! Once we agree on the details and that I'm a good fit, I'll send you a short work agreement that outlines what we discussed. If a deposit is needed, I'll invoice you for that once I get the signed work agreement back. If any NDAs are needed, I'll be happy to sign them. Then we're good to go! I'll invoice for any remaining balance once all work is complete. (For most jobs, I have a net 30 policy.) And if you'd like to have a follow up briefing call, we can schedule that. Click on the pictures above for more details about that specific type of work. And be sure to check out the FAQ page.